NEWPORT, Ky. (April 29, 2015)—Newport Aquarium‘s all-new Shark Bridge – the only rope suspension bridge in North America where guests can walk just inches above nearly two dozen sharks – is scheduled to open to the public 10 a.m. Thursday, April 30. 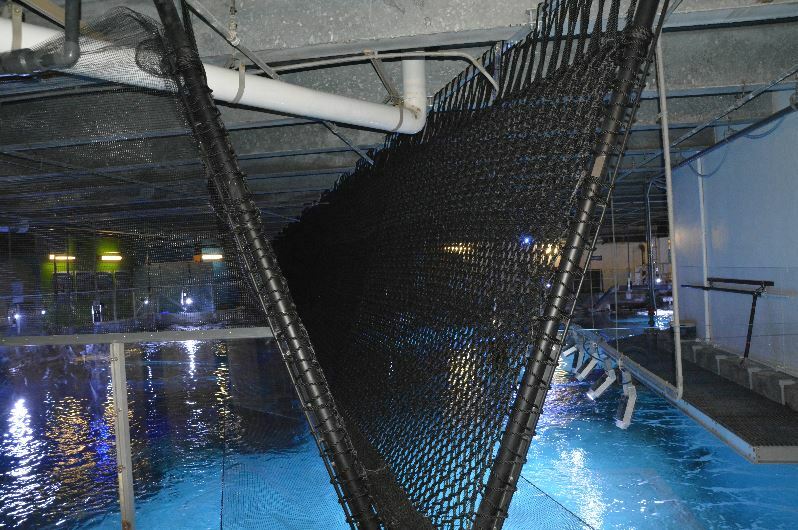 The Shark Bridge is a 75-foot-long, V-shaped rope bridge suspended over the open waters of the Surrounded by Sharks exhibit’s 385,000-gallon tank. Should guests dare to cross, the Shark Bridge offers the thrill of walking closely atop sharks, shark rays, stingrays and hundreds of fish from an unrivaled vantage point. A family-friendly attraction, Shark Bridge is included with admission to Newport Aquarium. Commemorating the opening of the Shark Bridge, Newport Aquarium has added extremely rare scalloped hammerhead sharks into the Surrounded by Sharks exhibit. After the scalloped hammerheads went into the Surrounded by Sharks exhibit April 27-29, Newport Aquarium now has the largest collection of scalloped hammerhead sharks on display in North America, as well as one of the largest in the world. 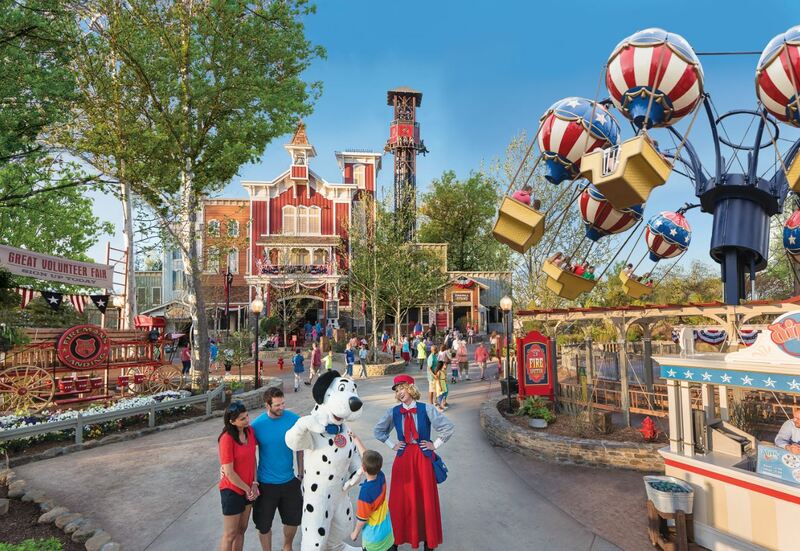 BRANSON, Missouri (February, 2015)—New for 2015, Silver Dollar City presents Fireman’s Landing an $8 million all-new themed area with 10 new family adventures, as the park launches its biggest family year ever. Set to open March 14, Fireman’s Landing substantially increases the park’s attractions, adding 10 family adventures in all. The new area has six family rides and four interactive play zones for kids and families in a highly themed area, saluting the spirit and training activities of community volunteer firefighters. The area, with theming recognizing the contributions of community heroes who serve as firefighters, is an 1880s volunteer recruitment fair. The storyline creates the atmosphere of the rides serving as “training” adventures for recruits and community heroes – all seeking to become part of the Silver Dollar City Fire Brigade. Fireman’s Landing expands into a new previously undeveloped region of the park, adding 10 family adventures–six family rides and four interactive play zones. The development brings the number of the park’s rides and attractions to over 40 and increases ride capacity to over 21,000 per hour. Centered around the headquarters of “Fire Station #3,” rides include FireFall, an 8-story fire tower free-fall drop ride for the more daring recruits; Fire Spotter, with soaring balloons for spotting fire dangers; Fire Wagon Frenzy, a bouncing ride for bucket brigade volunteers; Lucky’s Dizzy Dogs, a bouncy ride on Dalmatians racing around a fire hydrant; Up The Ladder, a smaller tower drop ride for junior recruits; and Fireman’s Flyer, a low-flying swing ride for little firefighters. Attractions include Firehouse Splash Yard, with squirting water jets and pump hoses for outdoor play. Inside Fire Station #3, enclosed and temperature controlled for season-long comfortable play, are Firefighter’s Fire Drill, with buckets, pumpers, foam ball cannons and targets for showering mock fires; Firefighter’s Fire Escape, an obstacle course of tubes, mazes, climbing structures and slides; and Firefighter’s Junior Fire Escape, a soft play area for toddlers. Kids can meet the Fireman’s Landing official chief rescue dog Lucky, a costumed character that encourages new recruits to have fun and be ready in the firefighters’ tradition of neighbors helping neighbors. Silver Dollar City is an 1880s-style theme park in Branson, Missouri, featuring 7 world-class festivals and events, 100 resident craftsmen demonstrating America’s heritage crafts, rides from high-speed thrills to an authentic steam train, music and entertainment, all in a park-like setting. The has been internationally awarded numerous times for excellence in theme, presentation and operations, including the worldwide Applause Award for excellence and the THEA Award (Themed Entertainment Association). Silver Dollar City opens for select days, beginning March 14, and then opens the regular season with World-Fest presenting performers from around the world beginning April 9. Information: 800-831-4FUN, www.silverdollarcity.com. Silver Dollar City is the original property of Herschend Family Entertainment Corporation, the largest family-owned theme park corporation in America. 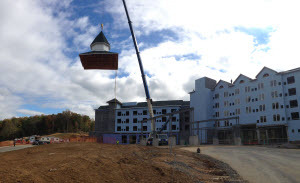 PIGEON FORGE, Tennessee (October 22, 2014) —Construction crews today placed the final spire atop Dollywood’s DreamMore Resort’s entrance tower marking an important milestone for the stunning 307-room property which opens summer 2015 next door to Dollywood’s award-winning theme parks. Officials also announced the first two members of the resort’s management team. During today’s topping out ceremony, crews finished the last major project on the resort’s iconic outside profile. Attention now will focus inward as construction continues on the property’s spacious guest rooms and family-friendly public areas. Amy Owenby, Dollywood’s Vice President of Hospitality, also introduced the first two members of the resort’s staff. Kevin Osborn was appointed as General Manager of Dollywood’s DreamMore Resort after spending many years in leadership roles within Marriott International. Cordelia Marzak joins the team as Director of Sales and Marketing. Marzak joins the team after her tenure with JHM Hotels in Orlando. Herschend Family Entertainment Corporation announces it has acquired Harlem Globetrotters International, Inc. A complement to HFE’s family-friendly portfolio of businesses, this acquisition marks an expansion for the company into new media, audiences and markets.